Visitors to British Columbia appreciate the diversity of wildlife found in the forests and wilderness waterways of Canada's western most province. 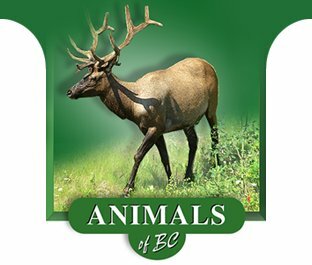 The Wildlife Viewing Guide to the Animals of British Columbia is provided to help you enjoy your wildlife viewing experience. We present the lifecycle and tracks of some of BC's most common wildlife. Enjoy your time in BC's wilderness, but please remember, these are wild animals and you need to observe all appropriate safety precautions whn traveling in the wild.